Former 2NE1 member Gong Min Ji aka Minzy, whose departure from the group earlier in April caused a huge stir among their devoted fans, has officially signed an exclusive contract with Music Works. According to earlier reports, Minzy opted to not renew her contract with YG Entertainment, which ended on May 5. Not long after the news circulated on the web, an unnamed industry source revealed to Star News that the 22-year-old idol is currently looking for a new agency. On May 16, Monday, Music Works confirmed the good news through a press statement released to different local media groups. The record label said that Minzy is poised to work as a soloist musician, who writes her own music and lyrics, and will also work as a mentor of the upcoming new girl group, MYTEEN, which is set make a big appearance next year. "Minzy who has decided to pursue her career as a solo artist after much thought has signed an exclusive contract with our company," the press release statement cited by KoreaBoo reads. "She has infinite potential to grow in a variety of fields as an individual and an artist. For these reasons we will be supporting her in vast ways as much as we can so she can realize her full potential." The Music Works is an in-house subsidiary label of CJ E&M Music Performance Division. It is the home of the renowned singers Baek Ji Young, Yoo Seung Eun, and Song Yoo Bin. On May 4, Minzy took to Instagram and shared an ardent long letter addressed to all 2NE1's avid blackjacks across the world. Through the letter, the star relayed her apology to the fans who have been hurt by her decision to leave the girl group and stressed that she still treasures her experience with former group mates - CL, Park Bom, and Sandara Park - whom she had been together with for almost seven years. 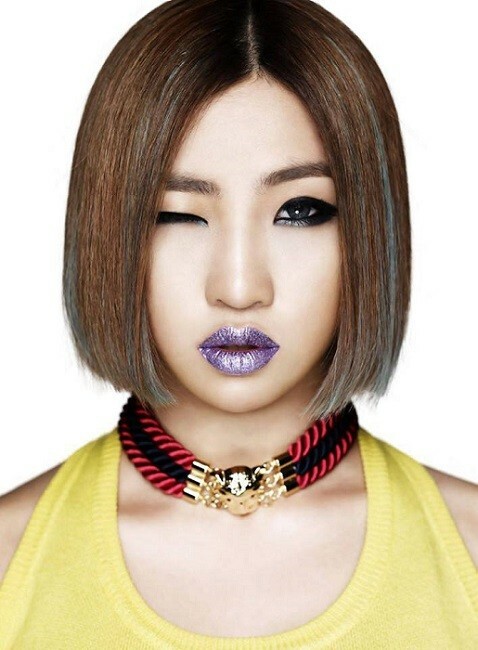 Minzy went ahead to relay her desire to pursue a new journey as a solo artist with a screen name Minzy Kong. She ended her letter by reassuring fans that she will come back to the K-pop scene with an improved and a more honest version of herself.